Jug, 19th century, glazed ceramic, maker unknown, Spain, 23 cm x 21 cm x 16 cm. Jug, 19th century, glazed ceramic, maker unknown, Spain, 24 cm x 19 cm x 15.5 cm. 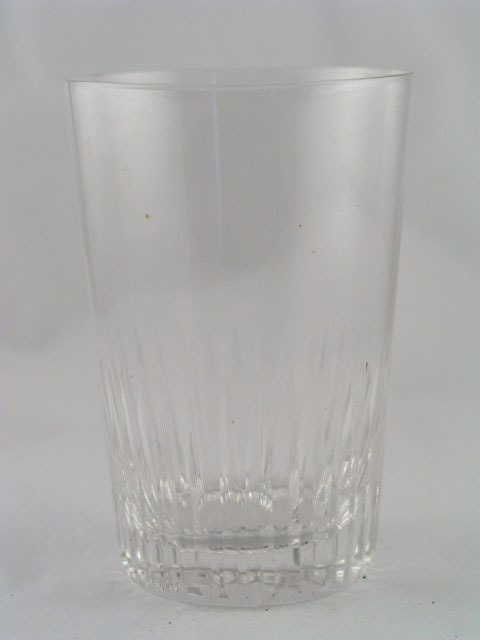 Wine glass, one of three, 20th century, glass, maker unknown, 20.6 cm x 10.5 cm x 10.5 cm. 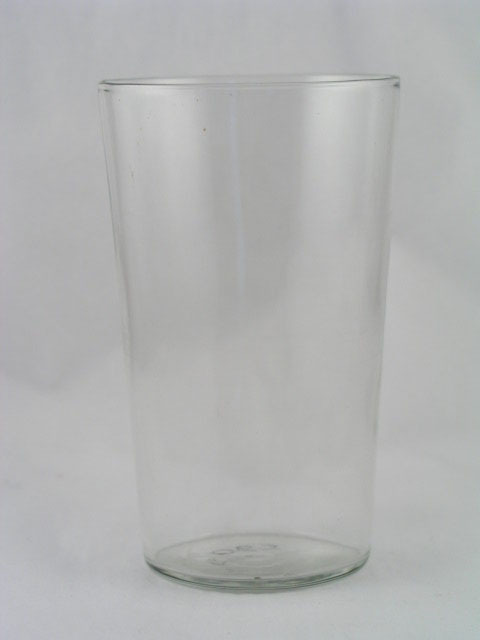 Wine glass, 20th century, maker unknown, 20.6 cm x 10.5 cm. 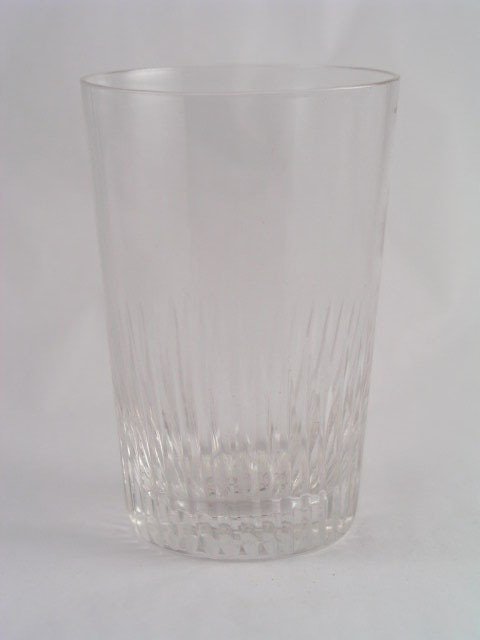 Brandy glass, 20th century, glass, maker unknown, 18.3 cm x 15.5 cm x 15.5 cm. Decanter, late 18th century, blown glass with gilt decoration, maker unknown, 15 cm x 7 cm x 7 cm. Decanter, late 18th century, blown glass with gilt decoration, maker unknown, 17.5 cm x 8 cm x 6.5 cm. Tumbler, one of three, circa 1920, glass, maker unknown, 11.6 cm x 7 cm x 7 cm. Tumbler, circa 1920, glass, maker unknown, 11.6 cm x 7 cm. Decanter, late 18th century, glass, maker unknown, Continental, 21 cm x 14.5 cm x 14.5 cm. Figure, late 19th century, glazed ceramic, maker unknown, Staffordshire, England, 23.5 cm x 15 cm x 6 cm. Figure, late 19th century, glazed ceramic, maker unknown, Staffordshire, England, 23 cm x 17.5 cm x 5 cm. Bowl, circa 1920, glazed terracotta, maker unknown, Italy, 15 cm x 34 cm x 34 cm. 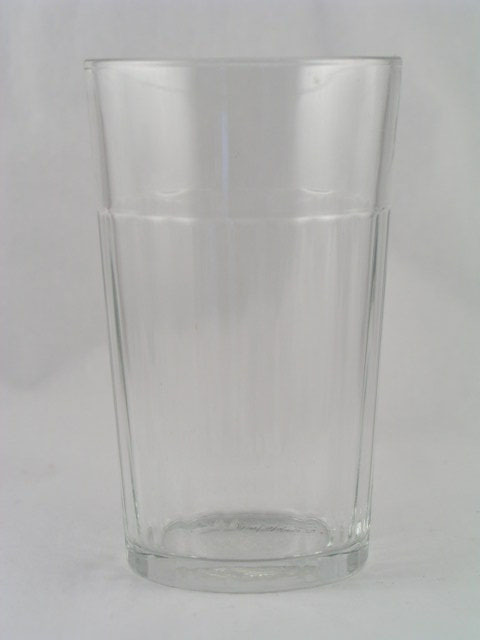 Soda siphon, circa 1950, pressed glass, commercially manufactured by Sundey, 33 cm x 11 cm x 11 cm. Carafe, circa 1920, glass, maker unknown, Continental, 35 cm x 13 cm x 13 cm. Dome, cheese dome, 19th century, blown glass, maker unknown, 17 cm x 21.7 cm x 21.7 cm. Charger, circa 1936, glazed ceramic, Quentin Bell, Stoke-on-Trent, copy of original by Roger Fry for Omega Workshops, marked with Omega symbol and 'S.O. 1936', 34.7 cm. Soup bowl, circa 1938-1950, glazed terracotta, Quentin Bell, 6.8 cm x 11.3 cm x 16 cm. Soup bowl, circa 1938-1950, glazed terracotta, Quentin Bell, 6.3 cm x 11.7 cm x 16 cm. Soup bowl, circa 1938-1950, glazed terracotta, Quentin Bell, 5 cm x 13.2 cm x 17.4 cm. Soup bowl, circa 1938-1950, glazed terracotta, Quentin Bell, 5.4 cm x 13.4 cm x 19 cm. Soup bowl, lid, circa 1938-1950, glazed terracotta, Quentin Bell, 3.5 cm x 10.5 cm x 10.5 cm. Soup bowl, lid, circa 1938-1950, glazed terracotta, Quentin Bell, 3.6 cm x 12 cm x 12 cm. Soup bowl, lid, circa 1938-1950, glazed terracotta, Quentin Bell, 4 cm x 14 cm x 14 cm. Soup bowl, lid, circa 1938-1950, glazed terracotta, Quentin Bell, 4 cm x 13 cm x 13 cm. Soup bowl, saucer, circa 1938-1950, glazed terracotta, Quentin Bell, 2.7 cm x 14.4 cm x 14.4 cm. Soup bowl, saucer, circa 1938-1950, glazed terracotta, Quentin Bell, 2.8 cm x 13 cm x 13 cm. Bottle, for vinegar, early 19th century, blown glass, maker unknown, 14.5 cm x 4.6 cm x 4.6 cm. Carafe, circa 1940, moulded glass with metal stopper, maker unknown, 19 cm x 11 cm x 11 cm. Stopper, 19th century, cut glass, maker unknown, 5 cm x 3.5 cm. Stopper, 19th century, cut glass, maker unknown, 4.6 cm x 3.5 cm. Tea caddy, circa 1935, glazed ceramic, potted by Phyllis Keyes, decorated by Angelica Garnett, 17 cm x 14.5 cm x 7.5 cm. Vase, 19th century, glazed porcelain, maker unknown, France, 25.5 cm x 15 cm x 11 cm. Prov: Purchased by V. Bell c. 1919. Figure, late 19th century, glazed ceramic, maker unknown, Staffordshire, England, 23.5 cm x 16 cm x 6 cm. Charger, 19th century, glazed ceramic, maker unknown, Spain, 34.7 cm. Charger, 19th century, glazed ceramic, maker unknown, Spain, 43.8 cm. Charger, 19th century, glazed ceramic, maker unknown, England, 34 cm. Charger, 19th century, glazed ceramic, maker unknown, 35 cm. Coffee pot, early 19th century, glazed ceramic, maker unknown, Italy, 25 cm x 19 cm x 14 cm. Prov. In possession of D. Grant by 1915; depicted in D. Grant still life 1915, in V. Bell still life 1920.
coffee pot, lid, early 19th century, glazed ceramic, maker unknown, Continental, 5.2 cm x 14 cm x 14 cm. Dish, 18th century, glazed ceramic, maker unknown, Spain, 5 cm x 30 cm x 30 cm. Sculpture, circa 1960, unglazed terracotta, possibly by Quentin Bell or Angelica Garnett's children, 17 cm x 10 cm x 10 cm. Charger, 19th century, glazed ceramic, maker unknown, Spain, 5 cm x 45 cm x 45 cm. Dish, 18th century, majolica, maker unknown, Italy, 5 cm x 26.2 cm x 26.2 cm. Meat dish, 1934, glazed ceramic, designed by Duncan Grant, commercially produced by Clarice Cliff for Wilkinsons Ltd, England, 4.3 cm x 42.8 cm x 34.2 cm. Soup bowl, one of two, 1934, glazed ceramic, designed by Duncan Grant, commercially produced by Clarice Cliff for Wilkinsons Ltd, England, 3.7 cm x 23 cm x 23 cm. Bowl, circa 1950, glazed terracotta, Quentin Bell, signed, 4 cm x 12 cm x 12 cm. Plate, circa 1950, glazed ceramic, made, decorated and signed by Quentin Bell, 18 cm. Bowl, circa 1940-1965, glazed terracotta bowl, potted and decorated by Quentin Bell, signed, 8 cm x 14.2 cm x 14.2 cm. Bowl, circa 1950, glazed terracotta, Quentin Bell, signed, 4 cm x 14.5 cm x 14.5 cm. Dish, circa 1950, glazed terracotta, Quentin Bell, 2 cm x 9.8 cm x 9.8 cm. Saltcellar, 19th century, glazed ceramic, maker unknown, Mediterranean, 4.4 cm x 13.5 cm x 13.5 cm. Vase, circa 1940, glazed ceramic, potted by Quentin Bell, decorated by Edward Le Bas, marked with Quentin Bell's mark and Edward Le Bas's initials, 12.5 cm x 19.5 cm x 19.5 cm. Bowl, circa 1940, glazed ceramic, potted by Quentin Bell, decorated by Duncan Grant, with Quentin Bell's mark and Duncan Grant's initials, 9 cm x 21.7 cm x 21.7 cm. Bowl with a domed lid, circa 1950, glazed terracotta, potted by Quentin Bell and decorated by Duncan Grant, with Quentin Bell's mark and Duncan Grant's initials, 14 cm x 21 cm x 21 cm. Jug, circa 1940, tin glazed earthenware, possibly potted by Phyllis Keyes and decorated by Angelica Garnett, marked 'A' on the base, 23 cm x 17 cm x 15 cm. Jug, circa 1920, tin glazed ceramic, maker unknown, Spain, 15 cm x 11 cm x 12 cm. Figure, 'Dog of Foo', glazed porcelain, maker unknown, China, 11 cm x 11 cm x 5 cm. Bowl, circa 1920, glazed terracotta, maker unknown, Mediterranean, 4.5 cm x 14.1 cm x 14.1 cm. Figure, late 19th century, glazed ceramic, maker unknown, Staffordshire, England, 19 cm x 10 cm x 5 cm. Figure, late 19th century, glazed ceramic, maker unknown, Staffordshire, England, 20 cm x 12.5 cm x 5 cm. Mug, glazed ceramic, circa 1940, potted by Quentin Bell and decorated by Vanessa Bell, marked with Quentin Bell's mark and Vanessa Bell's initials, 12.5 cm x 19.5 cm x 12.6 cm. 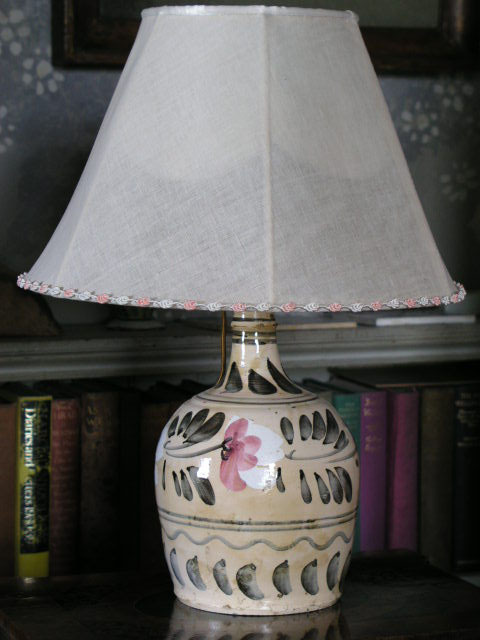 Lampshade, circa 1950, glazed ceramic, potted and decorated by Quentin Bell at Charleston, 17.5 cm x 29.3 cm x 29.3 cm. Figure, late 19th century, glazed ceramic, maker unknown, Staffordshire, England, 34.5 cm x 23 cm x 8.5 cm. Coffee pot, one of two, 19th century, glazed ceramic, maker unknown, 24 cm x 20 cm x 10.5 cm. Coffee pot, lid, 19th century, glazed ceramic, maker unknown, 6 cm x 7.4 cm. Tile, tiled shelf, 1930, ceramic, 22 tiles decorated by Vanessa Bell, signed with initials and dated, 24.8 cm x 137 cm. Bowl, 14th or 15th century, ceramic, Islam, maker unknown, 9 cm x 22.5 cm x 22.5 cm. 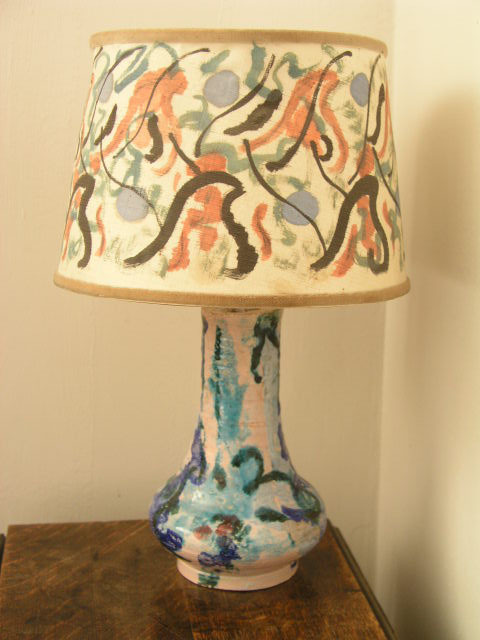 Lamp base, circa 1950, ceramic, potted by Quentin Bell - decorated by Duncan Grant, signed 'DG', 32 cm x 15 cm x 15 cm. Dish, circa 1900, ceramic, maker unknown, possibly France, 2.2 cm x 14 cm x 14 cm. Bowl, circa 1950, potted by Quentin Bell, decorated by Vanessa Bell, 8.2 cm x 22.3 cm x 22.3 cm. Cup, date unknown, glazed ceramic, made and decorated by Quentin Bell, 7 cm x 16 cm x 11.5 cm. Jar, circa 1900, ceramic, maker unknown, France, 13.5 cm x 9.5 cm x 9.5 cm. Vase, urn, early 19th century, ceramic, maker unknown, France, 17.7 cm x 10.6 cm. Vase, urn lid, early 19th century, ceramic, maker unknown, France, 17.7 cm x 10.6 cm x 10.6 cm. 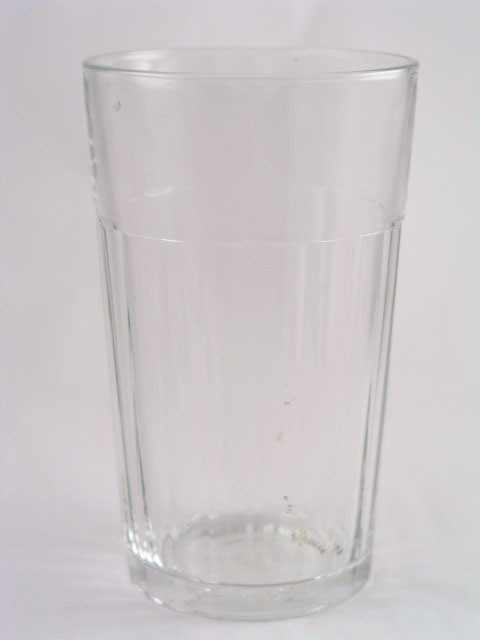 Tazza, circa 1840, glass, maker unknown, 19 cm x 22.3 cm x 22.3 cm. Saucer, circa 1970, ceramic, potted and decorated by Quentin Bell for Charleston, 12 cm. Plate, circa 1913 - 1917, glazed ceramic, Roger Fry, Omega mark, 28.5 cm. Lamp base, early 20th century, ceramic, maker unknown, Spain, 29 cm x 18.5 cm x 18.5 cm. Jar, late 17th century, majolica, maker unknown, Italy, 19.6 cm x 16 cm x 16 cm. Dish, circa 1950, ceramic, potted and decorated by Quentin Bell, signed, 3.8 cm x 11.5 x 11.5 cm. Vase, circa 1960, ceramic, potted by Quentin Bell and decorated by Cressida Bell, marked with 'CB' and 'C', 6 cm x 7.4 cm x 7.4 cm. Figure, circa 1780, ceramic, maker unknown, 20 cm x 19.5 cm x 11 cm. Necklace, circa 1950, glass beads, maker unknown, 25 cm x 0.3 cm. Charger, 19th century, glazed ceramic, maker unknown, Spain, 39.6 cm. Saucer, circa 1960, glazed ceramic, potted by Quentin Bell, decorated by Duncan Grant, 14.2 cm. Vase, 20th century, glazed ceramic, maker unknown, Spain, 18 cm x 12 cm x 12 cm. Vase, circa 1920, glazed ceramic, maker unknown, Italy, 33.5 cm x 24 cm x 18 cm. Prov: Probably purchased by V. Bell or D. Grant in Italy 1913; appears in D. Grant still life of circa 1915-1916. Vase, circa 1936, glazed ceramic, possibly made by Quentin Bell when studying in the Potteries, Stoke-on-Trent, England, 8.3 cm x 11.7 cm x 11.7 cm. Jug, circa 1920, ceramic, maker unknown, 24.2 cm x 19 cm x 17 cm. Box, circa 1956, glazed ceramic, maker unknown, France, 7.2 cm x 9.7 cm x 7 cm. Mug, circa 1950-1970, ceramic, Quentin Bell, 10.6 cm x 15 cm x 11 cm. Mug, circa 1950-1970, ceramic, decorated by Vanessa Bell, marked with Quentin Bell's mark and Vanessa Bell's initials, 10.6 cm x 15 cm x 11 cm. Saucer, late 19th century, glazed porcelain, maker unknown, China, 11.3 cm. Vase, 1936, glazed ceramic, probably made by Quentin Bell when working in the Potteries, Stoke-on-Trent, England, 8.7 cm x 8.7 cm x 8.7 cm. Jar, circa 1950-1960, thrown, glazed ceramic, probably Quentin Bell, marked with a bell, 16.8 cm x 11 cm x 11 cm. Lamp Base, circa 1950, ceramic, Quentin Bell, 24 cm x 12.5 cm x 12.5 cm. Decanter, 19th century, glass, maker unknown, 20 cm x 12 cm x 12 cm. Tumbler, 20th century, glass, maker unknown, 11.4 cm x 7 cm x 7 cm. Bowl, circa 1950, glazed terracotta, potted by Quentin Bell, decorated by Vanessa Bell, marked 'QB' and 'VB', 9.6 cm x 12.7 cm x 12.7 cm. Tile, date unknown, ceramic, maker unknown, 13 cm x 13 cm. Mug, circa 1935-1960, glazed ceramic, made by Quentin Bell and decorated by Vanessa Bell, signed by both, 9.5 cm x 15 cm x 15 cm. Vase, circa 1935-1955, ceramic, Angelica Garnett, signed 'AVG', 11 cm x 11 cm x 11 cm. Plate, circa 1960-1969, ceramic, Quentin Bell, signed, 19 cm. Mug, circa 1940-1970, made and signed by Quentin Bell, decorated and signed by Duncan Grant, 10.7 cm x 10.5 cm x 10.5 cm. 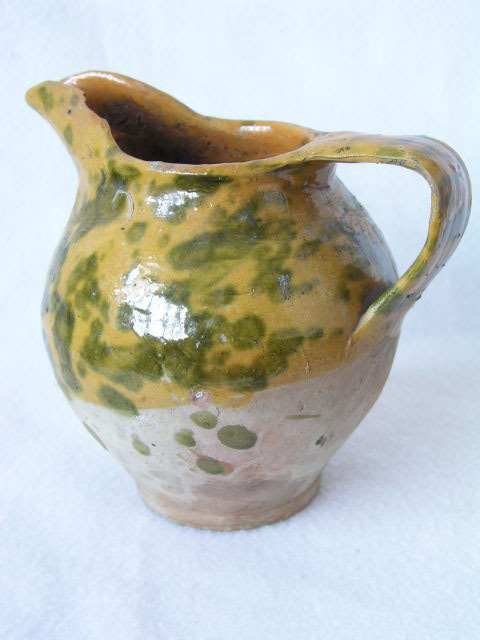 Jug, circa 1975-1979, potted and decorated by Quentin Bell, inscribed 'Fulham Pottery' - Quentin Bell', 14 cm x 16 cm x 16 cm. Tea cup, circa 1960, ceramic, potted and decorated by Quentin Bell, signed, 6.7 cm x 15 cm x 15 cm. Saucer, circa 1950, ceramic, Quentin Bell, 16.5 cm. Tile, circa 1930-1960, ceramic, by Duncan Grant after 'self portrait' by Rembrandt, 10.5 cm x 10.5 cm. Coffee pot, circa 1950, ceramic, Quentin Bell, 25 cm x 17 cm x 12 cm. Plate, circa 1920, ceramic, maker unknown, possibly North African, 25 cm. Rummer, early 19th century, glass, maker unknown, engraved by Annabel Rathbone in 1975 for Duncan Grant with the initials 'DG', 15.6 cm x 10 cm x 10 cm. Tile, date unknown, glazed ceramic, maker unknown, India or Persia, 18 cm x 18 cm. Vase, circa 1940-1960, ceramic, potted by Quentin Bell, decorated by Vanessa Bell, signed 'VB', 10 cm x 10 cm x 10 cm. Tile, circa 1800, tin glazed, maker unknown, Italy or Spain, 21 cm x 21 cm. Jug, circa 1900, ceramic, maker unknown, North Africa, 17.6 cm x 11.5 cm x 11.5 cm. Plate, early 19th century, glazed ceramic, maker unknown, 23 cm. Jug, early 20th century, glazed ceramic, maker unknown, France, 19 cm x 18 cm x 14 cm. Tile, early 19th century, glazed ceramic, maker unknown, Spain, 13.8 cm x 13.8 cm. Tile, 19th century, glazed ceramic, maker unknown, Spain, 14 cm x 14 cm. Tile, set of six tiles, circa 1930, glazed ceramic, maker unknown, decorated by Duncan Grant, 25.5 cm x 39 cm. Brandy balloon, one of two, 20th century, glass, maker unknown, 18 cm x 10 cm x 10 cm. Wine cooler, one of four, late 18th century, glass, maker unknown, 9.5 cm x 14 cm x 11.5 cm. Bowl, one of two, late 18th century, glass, maker unknown, 5.6 cm x 9.4 cm x 9.4 cm. Vase, late 18th century, glass, maker unknown, 7.2 cm x 6.2 cm x 6.2 cm. Brandy balloon, mid 20th century, glass, maker unknown, 16.5 cm x 11 cm x 11 cm. Plate, circa 1800, ceramic, maker unknown, Nanking, China, 2.5 cm x 22.7 cm x 22.7 cm. Soup plate, one of two, circa 1790, ceramic, maker unknown, Staffordshire, England, 3.4 cm x 24.7 cm x 24.7 cm. Soup bowl, circa 1800, ceramic, maker unknown, 3.7 cm x 22.6 cm x 22.6. Soup bowl, circa 1800, ceramic, maker unknown, 4.3 cm x 22.8 cm x 22.8. Vase, circa 1940-1960, ceramic, maker unknown , decorated by Vanessa Bell, signed 'VB', 15.5 cm x 12.5 cm x 9.5 cm. Teapot, circa 1933, ceramic, commercially produced by Foley, decoration designed by Angelica Bell , 12 cm x 22 cm x 14 cm. Jug, circa 1933, ceramic, commercially produced by Foley, decoration designed by Angelica Bell, 8 cm x 13 cm x 8.6 cm. Plate, circa 1933, ceramic, commercially produced by Foley, decoration designed by Angelica Bell, 16 cm. Sucrier, 19th century, ceramic, maker unknown, England, 15.4 cm x 15 cm x 15 cm. Plate, 19th century, ceramic, maker unknown, England, 22.5 cm. Lid, 19th century, ceramic, maker unknown, England, 2.5 cm x 9.5 cm x 9.5 cm. Cup, circa 1933, ceramic, decoration designed by Duncan Grant, commercially produced by Foley, 7 cm x 14 cm 11.2 cm. Saucer, circa 1933, ceramic, decoration designed by Duncan Grant, commercially produced by Foley, 16.6 cm. Jug, circa 1933, ceramic, decoration designed by Duncan Grant, commercially produced by Foley, 11.5 cm x 15 cm x 10.5 cm. Vase, circa 1930 - 1950, ceramic, potted by Quentin Bell and decorated by Duncan Grant, signed 'DG', 12.5 cm x 12.5 cm x 12.5 cm. Soup plate, circa 1800, ceramic, maker unknown, 3.6 cm x 22.6 cm x 22.6 cm. Plate, circa 1750, ceramic, Delft, Holland, 22.7 cm. Plate, early 19th century, ceramic, Delft, Holland, 21.7 cm. Wine Cooler, one of three, early 19th century, glass, maker unknown, 9 cm x 15 cm x 11.6 cm. Flask, late 18th century, glass, engraved 'ELE', 14.5 cm x 8.5 cm x 3.7 cm. 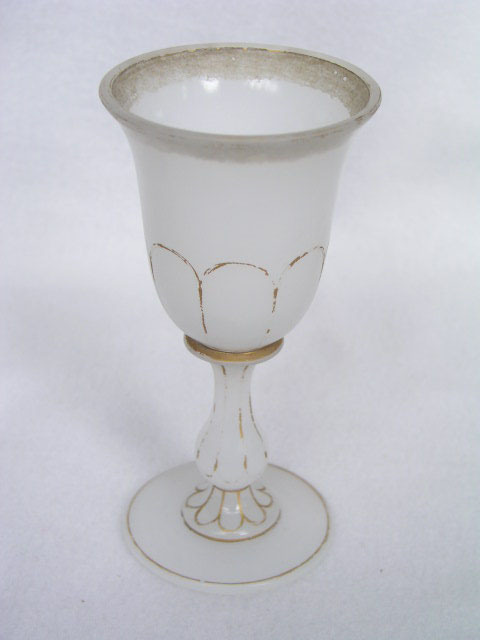 Goblet, circa 1840, glass, maker unknown, 18.5 cm x 9.5 cm x 9.5 cm. 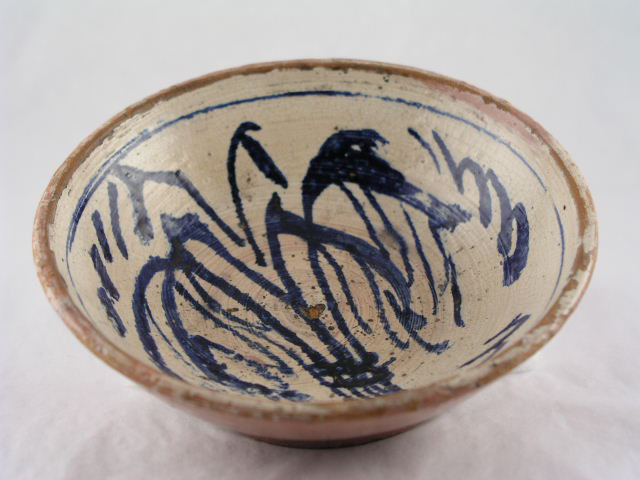 Bowl, circa 1910, glazed earthenware, decorated, maker unknown, possibly North Africa, 7.2 cm x 25.7 cm. Plate, 'Mme la Marquise de Caux, Adelina Patti', one of a set of four plates from the Famous Ladies set commissioned by Kenneth Clark, 1932, ceramic, decorated by Duncan Grant on Wedgwood blank, 25.5 cm. Plate, one of a set of four plates from the Famous Ladies set commissioned by Kenneth Clark, 1932, ceramic, decorated by Duncan Grant on Wedgwood blank, 25.5 cm. Plate, 'Queen Mary', one of a set of four plates from the Famous Ladies set commissioned by Kenneth Clark, 1932, ceramic, decorated by Duncan Grant on Wedgwood blank, 25.5cm. Plate, 'SAI La Princess Mathilda', one of a set of four plates from the Famous Ladies set commissioned by Kenneth Clark, 1932, ceramic, decorated by Duncan Grant on Wedgwood blank, 25.5 cm. Plate, late 18th century, ceramic, maker unknown, England, 24.5 cm. Bowl, circa 1913, ceramic, designed by Roger Fry, commercially produced by Carters for Omega Workshops, 6.4 cm x 13.4 cm x 13.4 cm. Pichet, circa 1900-1950, ceramic, maker unknown, Spain, 22 cm x 11 cm x 11 cm. Jug, circa 1913, ceramic, commercially produced by Carters for Omega Workshops, designed by Roger Fry, 16 cm x 20 cm x 14.5 cm. Bowl, circa 1850-1950, glass, maker unknown, 15.5 cm x 13 cm x 13 cm. Sculpture, 'Madonna and Child', circa 1915, glazed ceramic, Omega Workshops, designed and decorated by Vanessa Bell, 22.5 cm x 19 cm x 11.5 cm. Decanter, circa 1850-1950, glass, maker unknown, 14 cm x 6.5 cm x 6.2 cm. Decanter, circa 1850-1950, glass, maker unknown, 18 cm x 7.3 cm x 7.3 cm. Decanter, circa 1850-1950, glass, maker unknown, 17 cm x 7.5 cm x 7.5 cm. Plate, circa 1913, glazed ceramic, designed by Roger Fry for Omega Workshops, 29 cm. Plate, circa 1913, glazed ceramic, designed by Roger Fry for Omega Workshops, 24.2 cm. Dish, 19th century, glazed ceramic, maker unknown, France, 3.5 cm x 38 cm x 28 cm. Plate, circa 1950-1960, glazed ceramic, decorated by Vanessa Bell, Charleston, 22.5 cm. Saucer, circa 1950, potted and decorated by Quentin Bell, signed, 14.5 cm. Mug, circa 1980, ceramic, Quentin Bell, Charleston, 9 cm x 9.5 cm x 9.5 cm. Cruet, used for oil and vinegar, circa 1913-1914, glazed ceramic, made by Roger Fry, 10.5 cm x 19 cm x 8.5 cm. Plate, used as painter's palette, date unknown, glazed ceramic, Wedgwood, 24.2 cm. Bowl, circa 1940-1960, ceramic, made by Quentin Bell, decorated by Duncan Grant, signed 'DG' and with Quentin Bell's mark, 11 cm x 18.5 cm x 18.5 cm. Pot, 1964-1965, ceramic, made by Quentin Bell, decorated by Duncan Grant, 19 cm x 20 cm x 14.5 cm. Lid, lid for pot, circa 1964-1965, ceramic, made by Quentin Bell, decorated by Duncan Grant, 3.4 cm x 14.5 cm x 14.5 cm. Vase, circa 1950-1960, ceramic, made and possibly decorated by Quentin Bell, incised with his mark, 14.5 cm x 13.6 cm x 13.6 cm. Saucer, circa 1900, ceramic, made by Phyllis Keyes possibly after French original, decorated by Vanessa Bell, 12 cm. Vessel, circa 1800-1899, glass, maker unknown, France, 26.5 cm x 9.6 cm x 9.6 cm. Mug, circa 1950, ceramic, made by Phyllis Keyes, decorated by Vanessa Bell, signed 'VB', 11.3 cm x 11 cm x 11 cm. Vessel, 19th century, ceramic, maker unknown, Spain or Italy, 36 cm x 33 cm x 33 cm. Cup, circa 1950, ceramic, possibly by Quentin Bell, 6 cm x 8.4 cm x 8.4 cm. Bowl, circa 1950, glazed ceramic, marked 'PMVE', Mexico, 7.5 cm x 12.6 cm x 12.6 cm. Candlestick, circa 1960, glass, Dansk, 6.4 cm x 7.2 cm x 7.2 cm. Vessel, circa 1945-1980, ceramic, maker unknown, Charleston, 7.5 cm x 11.6 cm 8.2 cm. Mug, circa 1950, potted and decorated by Quentin Bell, signed with his mark, 9.5 cm x 11.5 cm x 8.5 cm. Mug, circa 1940-1980, ceramic, Quentin Bell, marked, 9.3 cm x 10.2 cm x 10.2 cm. Grinder, pigment grinder, date unknown, glass, maker unknown, 9 cm x 4.5 cm x 4.5 cm. Vase, circa 1937, glazed ceramic, potted and decorated by Quentin Bell, Stoke-on-Trent, 20 cm x 18.5 cm x 18.5 cm. Tile, circa 1933-1950, glazed ceramic, decorated by Angelica Bell, signed 'AVB', 13 cm x 13 cm. Tile, with portrait of actress Simone Simon, circa 1934, ceramic, decorated by Vanessa Bell, inscribed on the reverse 'Simone Simon' and signed 'VB', commercially produced by Minton, 15.4 cm x 15.4 cm. Jug, circa 1940-1969, ceramic, Quentin Bell, 9.5 cm x 9 cm x 8 cm. Jewellery, six pieces, circa 1950, glazed ceramic, Quentin Bell, 4.5 cm x 4.5 cm. Tile, one of six in a wooden frame, circa 1950-1960, ceramic, decorated by Duncan Grant, commercially produced probably by Poole Pottery, 23 cm x 100 cm. Plate, circa 1910, glazed ceramic, maker unknown, 4.3 cm x 21.8 cm x 21.8 cm. Mug, date unknown, ceramic, Quentin Bell, Charleston, 10 cm x 16.2 cm x 11.5 cm. Plate, circa 1800, ceramic, maker unknown, France, 22.5 cm. Vessel, circa 1900, ceramic, maker unknown, Italy, 37.5 cm x 28 cm x 22 cm . Pot, circa 1950, glazed ceramic, maker unknown, Italy, 5.5 cm x 4 cm x 4 cm. Vase, date unknown, glazed ceramic, cast from a 16th century Chinese bronze original by Phyllis Keyes, marked with two keys and a 'p', 32.5 cm x 17 cm x 17 cm. Vase, circa 1932, ceramic, potted by Phyllis Keyes, decorated by Duncan Grant for the Music Room commission, bears Phyllis Keyes's mark and Duncan Grant's initials, 32 cm x 17.5 cm x 17.5 cm. Vase, circa 1910, ceramic, maker unknown, Southern Italy, 31 cm x 18 cm x 18 cm. Prov: Purchased by V. Bell, Rome, 1920. Vase, circa 1930, ceramic, decorated by Duncan Grant, made in North Africa, 24 cm x 17.4 cm x 17.4 cm. Water vessel, circa 1930, unglazed terracotta, Africa or Egypt, 31.5 cm x 20 cm. Vase, circa 1914, ceramic, decorated by Duncan Grant, made in Tunis, North Africa, 34 cm x 20 cm x 20 cm. Bowl, circa 1950, ceramic, potted and decorated by Quentin Bell, Charleston, 6 cm x 20.6 cc x 20.6 cm. Tile, one of thirty six, circa 1925-1930, ceramic, Vanessa Bell, 91 cm x 91 cm. Figure, 19th century, glazed ceramic, maker unknown, Staffordshire, England, 26 cm x 13.5 cm x 5.5 cm. Jar, late 18th century, porcelain, maker unknown, Nanking, China, 21.1 cm x 18.5 cm. Prov: C. Bell. Figure, 19th century, glazed ceramic, maker unknown, Staffordshire, England, 26.5 cm x 13 cm x 6.5 cm. Decanter, early 19th century, glass, maker unknown, 23 cm x 10 cm x 10 cm. Tumbler, 20th century, glass, maker unknown, 10.5 cm x 7 cm x 7 cm. Tumbler, 19th century, glass, maker unknown, 11.3 cm x 7.5 cm x 7.5 cm. 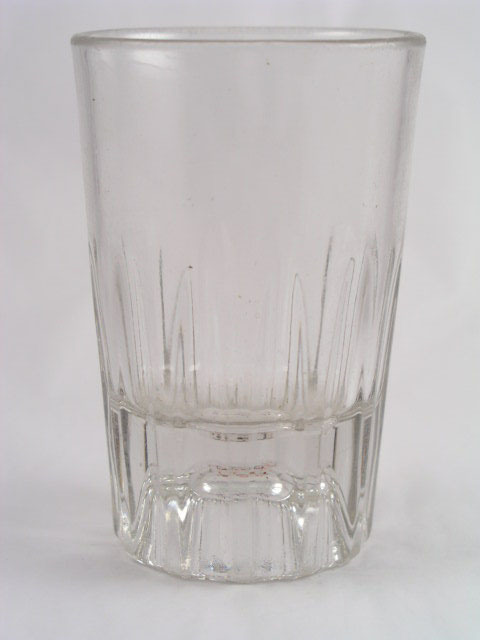 Bottle, Gilbey's London Dry Gin, circa 1980, glass, 26.2 cm x 8 cm x 6 cm. Saucer, circa 1940, glazed ceramic, potted and decorated by Quentin Bell, 12 cm. Plate, circa 1940, glazed ceramic, potted and decorated by Quentin Bell, signed, 18.25 cm. Saucer, circa 1940, glazed ceramic, potted by Quentin Bell, decorated by Duncan Grant, 11.8 cm. 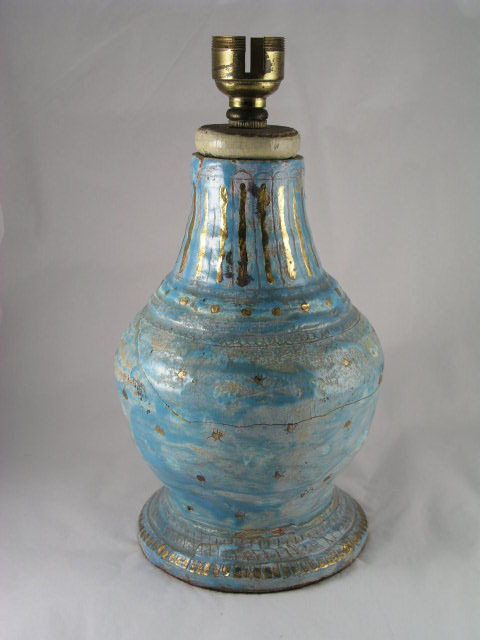 Lamp base, circa 1935-1937, ceramic, Quentin Bell, Stoke-on-Trent, 24 cm x 15 cm x 15 cm. Mug, circa 1940, glazed ceramic, thrown by Phyllis Keyes, decorated by Angelica Garnett, 11.5 cm x 15 cm x 11.4 cm. Bowl, circa 1950, glazed terracotta, made and decorated by Quentin Bell, 10 cm x 18 cm x 18 cm. Saucer, circa 1930-1960, enamelled, possibly decorated by Angelica Bell, 9.6 cm. 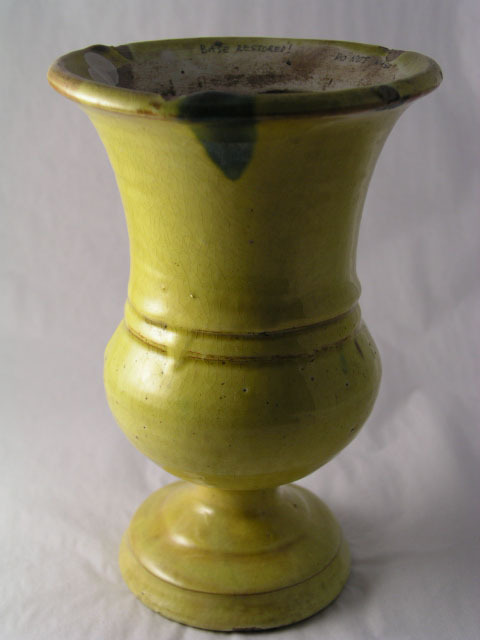 Lamp base, circa 1950, potted by Quentin Bell, decorated by Simon Watney, circa 1965, 16 cm x 11 cm x 11 cm. Dish, circa 1900, porcelain, marked with a red impressed seal, maker unknown, China, 2.1 cm x 9.7 cm x 6.5 cm. Decanter, 20th century, glass, maker unknown, 19 cm x 12.5 cm x 12.5 cm. Tumbler, 20th century, glass, maker unknown, 10 cm x 7.3 cm x 7.3 cm. Inkstand, circa 1950, glazed ceramic, Quentin Bell, 10 cm x 22 cm x 20.5 cm. Flask, early 18th century, glass, maker unknown, 14.4 cm x 6 cm x 4.7 cm. Saucer, circa 1900, enamelled metal, maker unknown, 10.9 cm. Dish, circa 1900, glazed ceramic, maker unknown, 9 cm. Lamp base, circa 1950-1960, glazed ceramic, Quentin Bell, 21.5 cm x 14 cm x 14 cm. Dish, circa 1935-1950, ceramic, Janie Bussy, 5.7 cm x 19.2 cm x 19.2 cm. Plate, circa 1935-1960, ceramic, Quentin Bell, signed, 17.5 cm. Plate, circa 1950-1960, ceramic, Quentin Bell, signed, 20 cm. Saucer, circa 1950, potted by Quentin Bell and decorated by Duncan Grant, signed by both, 19.6 cm. Plate, circa 1940-1960, ceramic, potted by Quentin Bell and decorated by Vanessa Bell, signed by both, 24.7 cm. Saucer, circa 1950, glazed ceramic, potted by Quentin Bell, decorated by Duncan Grant, signed by both, 20.5 cm. Figure, circa 1950, ceramic, Quentin Bell, 15.5 cm x 7 cm x 7 cm. Figure, circa 1950, ceramic, Quentin Bell, 18.5 cm x 9.5 cm x 8 cm. Figure, circa 1950, ceramic, Quentin Bell, 19 cm x 10 cm x 10 cm. Figure, circa 1950, ceramic, Quentin Bell, 22 cm x 10 cm 11 cm. Lampshade, circa 1940-1960, ceramic, Quentin Bell, 16 cm x 24.5 cm x 24.5 cm. Jug, late 19th century, ceramic, maker unknown, marked 'Japan, No. 62 Stone china', 26 cm x 21.5 cm x 18 cm. 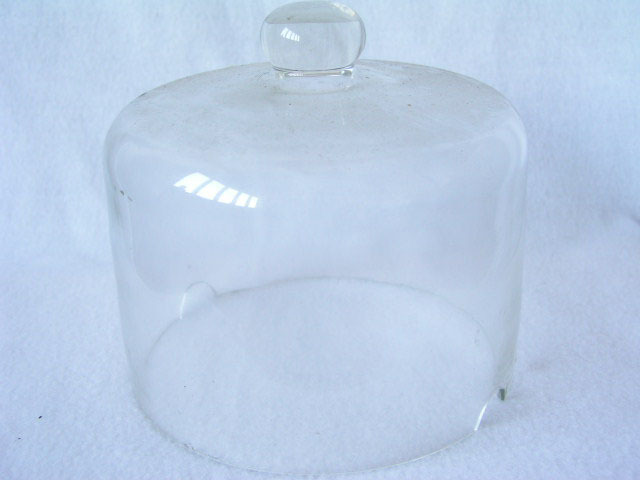 Dome, circa 1850-1950, glass, maker unknown, marked 'British Made', 18 cm x 9.2 cm x 9.2 cm. Glass, one of three, circa 1900, glass, maker unknown, 6.5 cm x 4.5 cm x 4.5 cm. Glass, late 19th century, glass, maker unknown, 10.5 cm x 6.3 cm x 6.3 cm. Pigment grinder, late 19th century, glass, maker unknown, 8.5 cm x 8.2 cm x 8.2 cm. Vase, circa 1840, ceramic, maker unknown, France, 23.5 cm x 11 cm x 11 cm. Plate, 19th century, glazed ceramic, maker unknown, 30.4 cm. Inkstand, circa 1840, glazed ceramic, maker unknown, Continental, 13 cm x 21.5 cm x 14 cm. Vase, one of a pair, circa 19th century, glazed ceramic, maker unknown, France, 25.5 cm x 13 cm x 13 cm. Tile, forty four tiles set in a wooden frame, circa 1925-1930, ceramic, decorated by Vanessa Bell, 43.5 cm x 118 cm. Vase, circa 1955, ceramic, thrown by Quentin Bell, decorated by Duncan Grant, 7.6 cm x 13 cm x 13 cm. Box, early 20th century, ceramic, maker unknown, Italy, 8 cm x 15 cm x 9 cm. Jug, circa 1870, ceramic, maker unknown, 30 cm x 23 cm x 21 cm. Pot, circa 1950, glazed ceramic, Quentin Bell, 12 cm x 10.5 cm x 10.5 cm. Jar, drug jar, 18th century, ceramic, maker unknown, Italy or Spain, 17.5 cm x 11 cm x 11 cm. Vase, circa 1850, ceramic, maker unknown, France, 10.5 cm x 14 cm x 12 cm. Vase, circa 1740, glazed ceramic, maker unknown, Italy, 16 cm x 12 cm x 12 cm. Wash basin, late 19th century, ceramic, maker unknown, marked 'Stone China' and 'Amhurst Japan Stone China No. 62', 12 cm x 34 cm x 34 cm. Figure, 19th century, glazed ceramic, maker unknown, Staffordshire, England, 20 cm x 18 cm x 9 cm. Sander, early 19th century, ceramic, maker unknown, Mediterranean, 5 cm x 8.6 cm x 8.6 cm. Figure, circa 1946 - 1950, unglazed ceramic, maker unknown, made by one of Quentin Bell's pupils from Southover Manor School, Lewes, 11 cm x 12 cm x 6.5 cm. 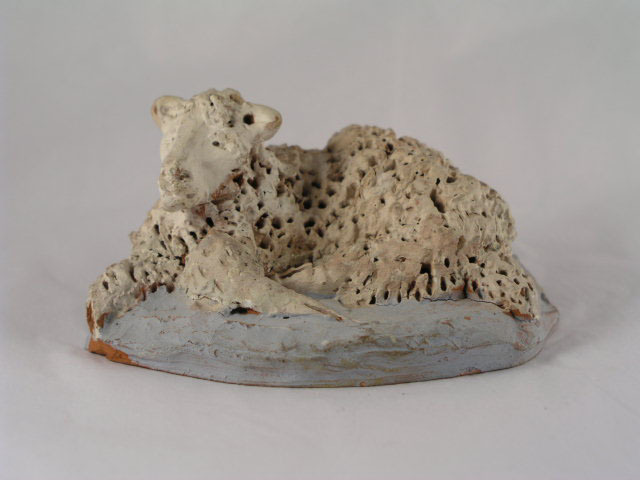 Sculpture, sheep, circa 1946-1950, unglazed ceramic sheep, maker unknown, made by one of Quentin Bell's pupils from Southover Manor School, Lewes, 6 cm x 10.5 cm x 9 cm. Teapot, circa 1950, glazed ceramic, potted and decorated by Quentin Bell, 14 cm x 23 cm x 15 cm. Teapot, lid, circa 1950, glazed ceramic, potted and decorated by Quentin Bell, 4 cm x 15 cm x 15 cm. Staffordshire figure, 19th century, glazed ceramic, maker unknown, English, 25.5 cm x 11 cm x 5.5 cm. Dish, circa 1950, glazed ceramic, potted and decorated by Quentin Bell, 3.7 cm x 12.2 cm x 12.2 cm. 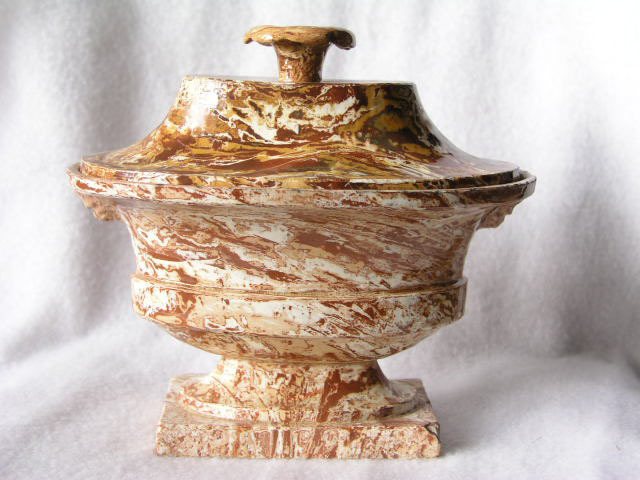 Inkstand, circa 1950, glazed, ceramic, Quentin Bell, inscribed 'Scribendi Recte Sapare est et Principum et Fons', 8 cm x 19 cm x 19 cm. Inkstand, lid, circa 1950, glazed ceramic, Quentin Bell, 3.5 cm x 5 cm x 5 cm. Inkstand, lid, circa 1950, glazed ceramic, Quentin Bell, 3.5 cm x 5 cm. Mug, circa 1980, potted, glazed, ceramic, Victoria Walton, 9 cm x 13 cm x 9 cm. Lamp base, circa 1955, glazed ceramic, Quentin Bell, signed with Quentin Bell's mark (lampshade made by Olivier Bell in 1986), 23 cm x 15 cm x 15 cm. Saucer, circa 1950, potted, glazed, ceramic, Quentin Bell, 2 cm x 10 cm x 10 cm. Carafe, circa 1840, glass, maker unknown, 22 cm x 14 cm x 14 cm. 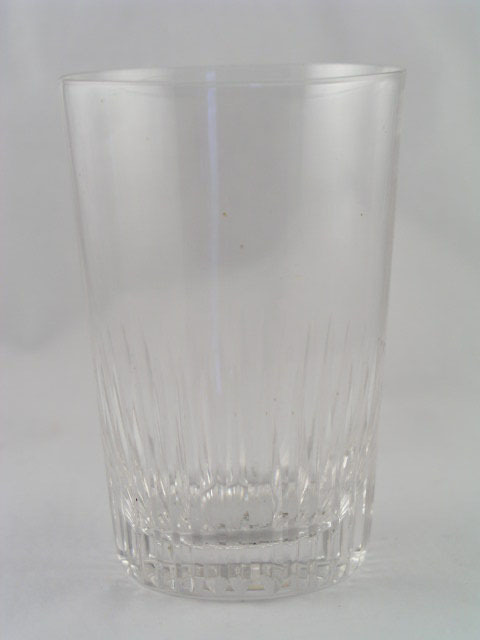 Glass, circa 1960, glass, commercially produced by Duralex, 12 cm x 7.4 cm x 7.4 cm. Bust, circa 1960, sculpted, glazed ceramic, Quentin Bell, 32 cm x 25 cm x 20.5 cm. Figures, 'Faith, Hope and Charity', 19th century, glazed ceramic, maker unknown, Staffordshire, England, 27 cm x 19 cm x 7 cm. 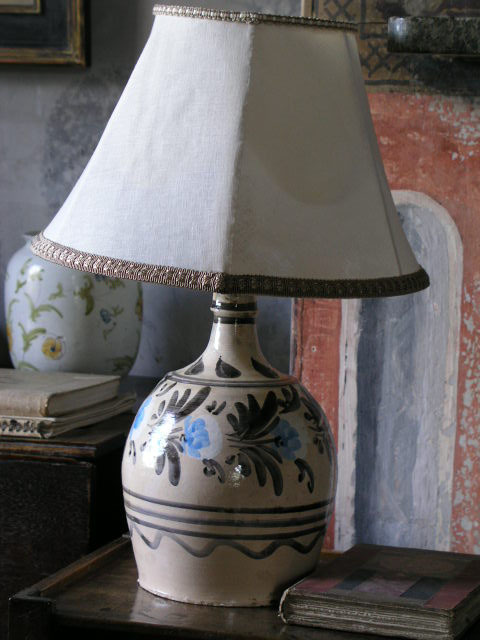 Lamp, circa 1950, potted, decorated, ceramic, Quentin Bell, 19 cm x 11 cm x 11 cm. jar, drug Jar, circa 1900, glazed ceramic, maker unknown, possibly Spain, 16.5 cm x 8.6 cm x 8.6 cm. Vase, circa 1900, glazed ceramic, maker unknown, possibly Spain or Italy, 21.5 cm x 15 cm x 15 cm. Lampshade, circa 1950, glazed ceramic, Quentin Bell, 9 cm x 22.5 cm x 22.5 cm. Cup, date unknown, glazed ceramic, maker unknown, signed with a 'C', 6 cm x 9 cm x 9 cm. Staffordshire figure, 19th century, glazed ceramic, maker unknown, England, 11.7 cm x 10 cm x 4.5 cm. Figure, ridge tile, winged seated horse, date unknown, sculpted, glazed ceramic, maker unknown, China, 25.5 cm x 12.7 cm x 23.4 cm. Prov: Purchased by J. Bell, China, 1937. Vase, early 19th century, creamware urn, cast, decorated, glazed ceramic, maker unknown, 17.5 cm x 12.5 cm x 7.5 cm. Lampshade, circa 1950, glazed terracotta and glass beads, Quentin Bell, 16.5 cm x 27 cm x 27 cm. Jug, for vinegar, circa 1950, glazed terracotta, Quentin Bell, 14.5 cm x 14 cm x 10 cm. Pot, circa 1950, glazed ceramic, potted by Quentin Bell and decorated by Vanessa Bell, signed by both, 10 cm x 11 cm x 11 cm. Bowl, circa 1937, glazed ceramic, decorated by Quentin Bell, Stoke-on-Trent, 7.4 cm x 19.7 cm x 19.7 cm. Bowl, circa 1880, glazed ceramic, maker unknown, Italy, 6 cm x 18.8 cm x 18.8 cm. Vase, circa 1936, glazed ceramic, Quentin Bell, Stoke-on-Trent, 21.5 cm x 15 cm x 15 cm. Bowl, circa 1950, glazed ceramic, potted by Quentin Bell and decorated by Duncan Grant, signed 'DG', Charleston, 6.1 cm x 17.2 cm x 17.2 cm. Bowl, circa 1950, glazed ceramic, potted by Quentin Bell and decorated by Vanessa Bell, signed 'VB', Charleston, 17.8 cm x 21.3 cm x 21.3 cm. Vase, circa 1935-1937, glazed ceramic, Quentin Bell, Stoke-on-Trent, 19.5 cm x 19.5 cm x 19.5 cm. Vase, circa 1935, glazed terracotta, Quentin Bell, Stoke-on-Trent, marked and dated 'XVI.XII.XXXV' (16th December 1935), 19.5 cm x 29.3 cm x 29.3 cm. Saucer, circa 1950, glazed ceramic, potted and decorated by Quentin Bell, Charleston, 15 cm. Plate, circa 1950, glazed ceramic, potted and decorated by Quentin Bell, Charleston, 18 cm. Saucer, circa 1950, glazed ceramic, potted and decorated by Quentin Bell, Charleston, 13.7 cm. Bowl, circa 1950, glazed ceramic, potted and decorated by Quentin Bell, Charleston, 9 cm x 19.3 cm x 19.3 cm. Vase, circa 1900, unglazed terracotta, maker unknown, possibly North Africa, 22.5 cm x 14 cm x 14 cm. Plate, one of five, circa 1934, glazed ceramic, designed by Vanessa Bell, commercially produced by Clarice Cliff for Wilkinsons Ltd, England, 25.3 cm. Meat dish, circa 1934, glazed ceramic, designed by Vanessa Bell, commercially produced by Clarice Cliff for Wilkinsons Ltd, England, 4.8 cm x 42.6 cm x 34.3 cm. Soup bowl, one of two, circa 1934, glazed ceramic, designed by Vanessa Bell, commercailly produced by Clarice Cliff for Wilkinsons Ltd, England, 3.5 cm x 22.7 cm x 22.7 cm. Soup bowl, circa 1934, glazed ceramic, designed by Vanessa Bell, commercially produced by Clarice Cliff for Wilkinsons Ltd, England, 3.5 cm x 22.7 cm x 22.7 cm. Plate, one of five, circa 1934, glazed ceramic, designed by Duncan Grant, commercially produced by Clarice Cliff for Wilkinsons Ltd, England, 25.5 cm. Meat plate, circa 1934, glazed ceramic, designed by Duncan Grant, commercially produced by Clarice Cliff for Wilkinsons Ltd, England, 3.5 cm x 32 cm x 24.6 cm. Serving dish, circa 1934, glazed ceramic, designed by Duncan Grant, commercially produced by Clarice Cliff for Wilkinsons Ltd, England, 7.7 cm x 27.2 cm x 21 cm. Plate, circa 1934, glazed ceramic, designed by Duncan Grant, commercially produced by Clarice Cliff for Wilkinsons Ltd, England, 25 cm x 32 cm. Dinner plate, one of six, circa 1913, glazed ceramic, designed by Roger Fry for Omega Workshops, 30.5 cm. Plate, one of three, circa 1982, commemorative plate for centenary of Virginia Woolf's birth, glazed ceramic, decorated, Quentin Bell, Fulham Pottery, 24.1 cm. Plate, circa 1965, glazed ceramic, Quentin Bell, 19 cm. Plate, circa 1950, glazed ceramic, Quentin Bell, marked, 21 cm. Vase, circa 1937, glazed ceramic, Quentin Bell, Stoke-on-Trent, 9.5 cm x 9 cm x 9 cm. Vase, circa 1937, glazed ceramic, Quentin Bell, Stoke-on-Trent, 18.5 cm x 14.5 cm x 14.5 cm. Vase, date unknown, glazed ceramic, Quentin Bell, marked, 9.3 cm x 10 cm x 10 cm. Bowl, circa 1937, glazed ceramic, Quentin Bell, Stoke-on-Trent, 6.5 cm x 19.5 cm x 19.5 cm. Vase, circa 1937, glazed ceramic, Quentin Bell, Stoke-on-Trent, 16.5 cm x 13.5 cm x 13.5 cm. Vase, circa 1960, glazed ceramic, Quentin Bell, 11 cm x 13 cm x 13 cm. Jug, circa 1960, unglazed ceramic, Quentin Bell, 12 cm x 14 cm x 11 cm. Jewellery, brooch, circa 1950, glazed ceramic, Quentin Bell, 4 cm. Jewellery, brooch, circa 1950, glazed ceramic, Quentin Bell, 4.1 cm. Jewellery, brooch, circa 1950, glazed ceramic, Quentin Bell, 7 cm x 3.5 cm. Bowl, circa 1960, glazed ceramic, Quentin Bell, marked, 9.7 cm x 19 cm x 19 cm. Bowl, date unknown, glazed ceramic, maker unknown, 6.8 cm x 22.5 cm x 22.5 cm. Cup, date unknown, ceramic, Quentin Bell, 7 cm x 15.6 cm x 10.2 cm. Soup plate, late 19th century, glazed ceramic, maker unknown, 3.5 cm x 23 cm x 23 cm. Stand, 19th century, glazed ceramic, maker unknown, England, 8 cm x 24.3 cm x 24.3 cm. Soup plate, early 19th century, glazed ceramic, maker unknown, 3.2 cm x 24.7 cm x 24.7 cm. Plate, circa 1900-1980, glazed ceramic, maker unknown, Italy, 26.5 cm. Plate, circa 1900-1980, glazed ceramic, maker unknown, France, 24.2 cm. Jar, ginger Jar, early 20th century, glazed ceramic, maker unknown, China, 15.5 cm x 15.5 cm x 15.5 cm. Mug, 19th century, glazed ceramic, maker unknown, Mediterranean, 17.5 cm x 12.5 cm x 12.5 cm. Oyster Dish, circa 1800-1950, glazed ceramic, maker unknown, marked 'SARREGHEMINE' 2211, France, 5 cm x 21.5 cm x 41.5 cm. Jug, early 20th century, glazed ceramic, maker unknown, marked 'GREEK' and 'FS', Greece, 23.7 cm x 22.5 cm x 19 cm. Vase, 19th century, glazed ceramic, maker unknown, France, 30 cm x 17 cm x 11 cm. Vase, 19th century, glazed ceramic, maker unknown, 27 cm x 10 cm x 10 cm. Vase, 19th century, glass, maker unknown, possibly France, 25.6 cm x 11.5 cm x 11.5 cm. Jug, 19th century, glazed ceramic, maker unknown, Sussex, England, 16.2 cm x 17 cm x 13 cm. Jug, 19th century, glazed ceramic, maker unknown, England, 15.5 cm x 13 cm x 10.6 cm. Jug, circa 1900-1960, glazed ceramic, maker unknown, Mediterranean, 13,5 cm x 13.5 x 8 cm. Jug, circa 1945, glazed ceramic, Quentin Bell, 11.5 cm x 15 cm x 9.2 cm. Saucer, one of four, circa 1950, ceramic, Quentin Bell, marked, 16 cm. Saucer, circa 1955, ceramic, Quentin Bell, 15.4 cm. Vase, Music Room Vase, potted by Phyllis Keyes, decorated by Vanessa Bell, ceramic, cast from an Italian or Spanish original, marked with 'P. Keyes' and a painted 'VB', 22 cm x 13.5 cm x 13.5 cm. Jug, circa 1940-1960, ceramic, potted by Quentin Bell, decorated by Janie Bussy, marked with Quentin Bell's mark and 'JSB', 12 cm x 15 cm x 9.5 cm. Lamp base, date unknown, ceramic, potted by Quentin Bell, decorated by Duncan Grant, Quentin Bell's mark and 'DG', 22.3 cm x 13 cm x 13 cm. Vase, circa 1940-1960, ceramic, potted by Quentin Bell, decorated by Vanessa Bell, Quentin Bell's mark, 17 cm x 13 cm x 13 cm. Bowl, circa 1955, ceramic, Quentin Bell, Quentin Bell's mark, 8.5 cm x 17.2 cm x 17.2 cm. Plaque, date unknown, painted plaster, Quentin Bell, 2.5 cm x 15 cm x 15 cm. Dish cover, 20th century, glass, maker unknown, 21.5 cm x 21.7 cm x 21.7 cm. Plate, circa 1955, ceramic, Quentin Bell, 20.2 cm. Plate, circa 1960, ceramic, Quentin Bell, 24 cm. Soup bowl, circa 1950, ceramic, Quentin Bell, 8 cm x 14 cm x 11 cm. Coffee cup, date unknown, ceramic, Quentin Bell, 5.5 cm x 12 cm x 6 cm. Egg cup, date unknown, ceramic, Quentin Bell, 6 cm x 5 cm x 5 cm. Saucer, circa 1950, ceramic, Quentin Bell, 13.7 cm. Coffee cup, one of two, date unknown, ceramic, made by Quentin Bell, decorated by Duncan Grant, commissioned by Lady Freyburg (Ivry), 11.2 cm x 8.4 cm x 8.4 cm. Saucer, one of four, circa 1950, ceramic, made by Quentin Bell, decorated by Duncan Grant, commissioned by Lady Freyburg (Ivry), 14.2 cm. Cup, circa 1970, ceramic, Quentin Bell, marked with Quentin Bell's mark, 6.3 cm x 11.5 cm x 9.2 cm. Mug, circa 1970, ceramic, Quentin Bell, Quentin Bell's mark, 8.6 cm x 14 cm x 10 cm. Saucer, circa 1950, ceramic, Quentin Bell, 13.4 cm. Saucer, circa 1935, ceramic, made by Phyllis Keyes, decorated by Angelica Bell, marked "A", 16.3 cm. Plate, date unknown, ceramic, potted by Quentin Bell, decorated by Janie Bussy, 18 cm x 18 cm x 18 cm. Saucer, date unknown, ceramic, Quentin Bell, Quentin Bell's mark, 13.5 cm. Soup Bowl, date unknown, glazed ceramic, Quentin Bell, 6.5 cm x 15.5 cm x 11.6 cm. Saucer for soup bowl, date unknown, glazed ceramic, Quentin Bell, 14.8 cm. Saucer for soup bowl, date unknown, glazed ceramic, Quentin Bell, 16.2 cm. Saucer, circa 1960-1970, ceramic, Quentin Bell, 15.2 cm. Tile, date unknown, ceramic, Minton, possibly decorated by Duncan Grant, 12.9 cm x 12.9 cm. Saucer, circa 1960-1970, ceramic, Quentin Bell, 15 cm. 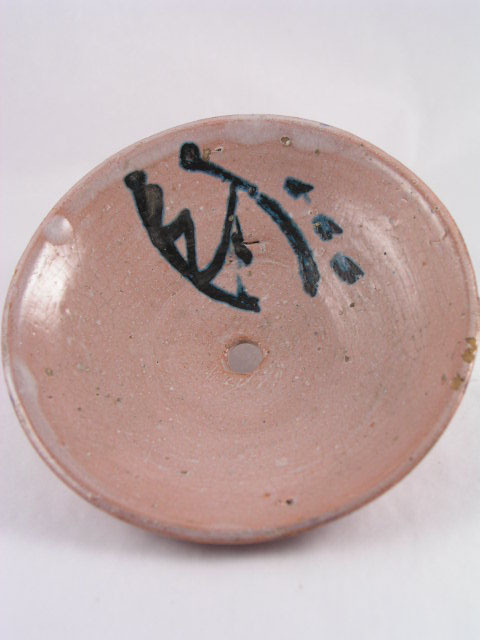 Saucer, date unknown, ceramic, Quentin Bell, Quentin Bell's mark, 14 cm. Saucer, circa 1960-1970, ceramic, Quentin Bell, Quentin Bell's mark, 16.1 cm. Bowl, circa 1950, ceramic, Quentin Bell, 5 cm x 11 cm x 11 cm. Sculpture, 'Echo and Narcissus', painted, ceramic, Quentin Bell, 9 cm x 12 cm x 32 cm. Cast of female figure, date unknown, plaster, Quentin Bell, 6 cm x 29 cm x 11.5 cm. 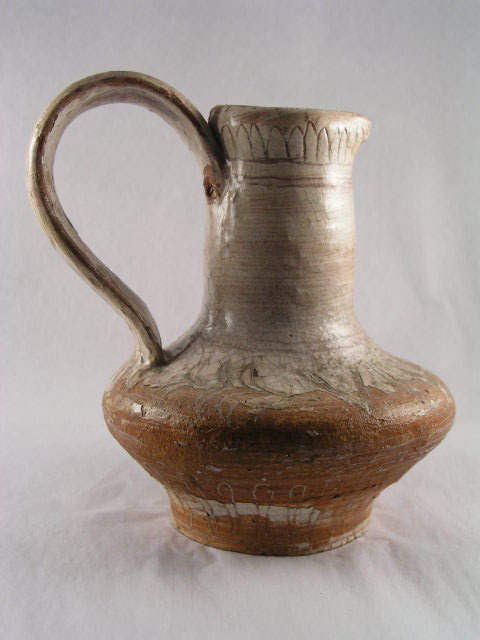 Jug, circa 1920, ceramic, maker unknown, Mediterranean, 19 cm x 20 cm x 15 cm. Dish, large meat dish, circa 1880, decorated, ceramic, maker unknown, 43 cm x 55.5 cm. Tureen, early 20th century, ceramic, maker unknown, Italy, 32.5 cm x 29 cm x 23 cm. Plate, one of six, circa 1800, ceramic, maker unknown, Nanking, China, 27 cm. Prov: Originally belonged to W M Thackeray. Plate, circa 1800, ceramic, maker unknown, Nanking, China, 24.6 cm. Prov: Originally belonged to W M Thackeray. Tureen, circa 1800, ceramic, maker unknown, Nanking, China, 16 cm x 35.5 cm x 25 cm. Prov: Originally belonged to W M Thackeray. Lid, circa 1800, ceramic, maker unknown, Nanking, China, 5 cm x 26 cm x 22 cm. Prov: Originally belonged to W M Thackeray. Plate, late 18th century, ceramic, maker unknown, 22 cm. Bowl, date unknown, ceramic, maker unknown, marked 'A', possibly Angelica Bell, Charleston, 8.4 cm x 11.5 cm x 11.5 cm. Bowl, circa 1960, ceramic, Quentin Bell, 7.5 cm x 12.5 cm x 12.5 cm. Saucer, circa 1950, ceramic, Quentin Bell, Quentin Bell's mark, 16.5 cm. Saucer, circa 1950, ceramic, Quentin Bell, Quentin Bell's mark, 12.7 cm. Saucer, circa 1950, ceramic, Quentin Bell, Quentin Bell's mark, 15.2 cm. Saucer, circa 1950, ceramic, Quentin Bell, Quentin Bell's mark, 18 cm. Plate, circa 1950, ceramic, maker unknown, mark 'ROUEN. E BOURGEOIS', France, 23.3 cm. Plate, date unknown, ceramic, Quentin Bell, Quentin Bell's mark 18 cm. Plate, date unknown, ceramic, Quentin Bell, Quentin Bell's mark, 10 cm. Saucer, date unknown, ceramic, maker unknown, 12 cm. Bowl, circa 1920, ceramic, maker unknown, Mediterranean, 7.5 cm x 25.5 cm x 25.5 cm. Saucer, circa 1890, ceramic, maker unknown, 14.3 cm. Cup, circa 1750-1799, ceramic, maker unknown, 4.5 cm x 8.1 cm x 8.1 cm. Toothpick holder, date unknown, ceramic, maker unknown, 7 cm x 12 cm x 5.5 cm. Coffee pot, 19th century, porcelain, Meisen, 11.2 cm x 7.8 cm x 7.8 cm. Saucer, 19th century, ceramic, Staffordshire, England, 14 cm. Jug, circa 1800, ceramic, maker unknown, Continental, 18 cm x 15 cm x 11 cm. Jug, date unknown, ceramic, maker unknown, 15 cm x 14 cm x 10 cm. Soup bowl, 19th century, ceramic, maker unknown, 3.1 cm x 24.5 cm x 24.5 cm. Fruit plate, one of three, circa 1913, glazed ceramic, designed by Roger Fry, Omega Workshops, 19.5 cm. Dinner plate, one of three, circa 1913, glazed ceramic, designed by Roger Fry, Omega Workshops, 30.5 cm. Dish, serving dish, circa 1913, glazed ceramic, designed by Roger Fry, Omega Workshops, 13 cm x 26 cm x 22 cm. Dish, serving dish, circa 1913, glazed ceramic, designed by Roger Fry, Omega Workshops, 13.5 cm x 25 cm x 20.5 cm. Dinner plate, one of four, circa 1913, glazed ceramic, designed by Roger Fry, 25 cm. Jug, circa 1955, ceramic, potted by Quentin Bell, decorated by Vanessa Bell, 12.5 cm x 13 cm x 9.5 cm. Mug, circa 1950, ceramic, potted by Quentin Bell, decorated by Vanessa Bell, 11 cm x 16 cm x 10.5 cm. Jug, circa 1940, ceramic, Phyllis Keyes, 14.2 cm x 12.7 cm x 8 cm. Jug, 18th century, ceramic, maker unknown, 14.5 cm x 12.5 cm x 10.5 cm. Mug, circa 1935, ceramic, potted by Phyllis Keyes, decorated by Janie Bussy, 11.5 cm x 14.5 cm x 11 cm. Teapot, circa 1950, decorated, glazed ceramic, potted by Quentin Bell, decorated by Vanessa Bell, 11.5 cm x 22 cm x 12 cm. Bowl, date unknown, decorated ceramic, maker unknown, 7.5 cm x 12.5 cm x 12.5 cm. Egg cup, date unknown, ceramic, Quentin Bell, 7.5 cm x 5.8 cm x 5.8 cm. Egg cup, date unknown, decorated, ceramic, Quentin Bell, 6 cm x 4.8 cm x 4.8 cm. Egg cup, date unknown, ceramic, Quentin Bell, 6.5 cm x 5 cm x 5 cm. Saucer, circa 1940-1960, ceramic, potted by Quentin Bell, decorated by Edward Le Bas, Quentin Bell's mark and Edward Le Bas's initials. Bowl, date unknown, decorated, ceramic, Quentin Bell, 7 cm x 11 cm x 11 cm. Saucer, circa 1960-1970, ceramic, Quentin Bell, 14.5 cm. 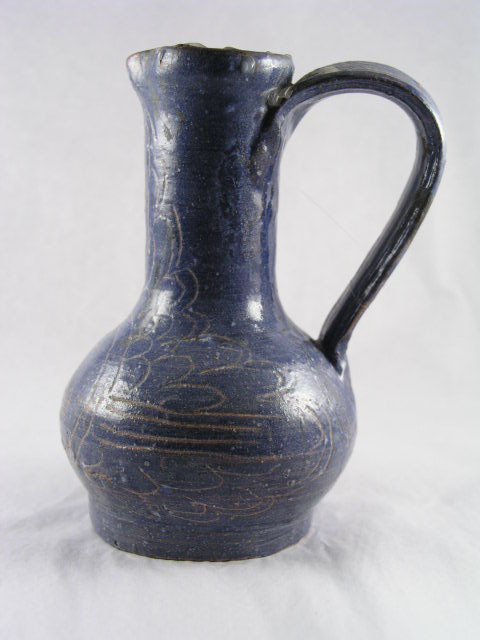 Jug, date unknown, ceramic, made by Quentin Bell, decorated by Duncan Grant, marked 'DG', 9 cm x 13 cm x 9.2 cm. Vase, circa 1950, pottery, Quentin Bell, illegible mark, possibly 'E', 15.4 cm x 8.5 cm x 8.5 cm. Plate, date unknown, ceramic, Quentin Bell, 24.4 cm. Vase, circa 1950, ceramic, Quentin Bell, 14.3 cm x 13.5 cm x 13.5 cm. Figure, date unknown, ceramic, Quentin Bell, 15.5 cm x 8 cm x 6.5 cm. Figure, circa 1950, unglazed ceramic, Quentin Bell, 16.5 cm x 8 cm x 8 cm. Vase, circa 1950, potted, glazed ceramic, Quentin Bell, 19.2 cm x 11.6 cm x 12 cm. Coffee pot, circa 1955, ceramic, Quentin Bell, 12 cm x 9.4 cm x 9.4 cm. Soup bowl, circa 1950, potted, glazed ceramic, Quentin Bell, 6.8 cm x 11.5 cm x 11.5 cm. Cup, one of two, circa 1960, potted, glazed ceramic, Quentin Bell, 9.5 cm x 13.5 cm x 10.5 cm. Vase, test vase, date unknown, potted, decorated, glazed, Quentin Bell, 21 cm x 18 cm x 18 cm. Vase, circa 1937, glazed ceramic, Quentin Bell, Stoke-on-Trent, 8.8 cm x 12.7 cm x 12.7 cm. Vase, circa 1937, glazed ceramic, Quentin Bell, Stoke-on-Trent, 10.5 cm x 10 cm x 10 cm. Vase, 1940, glazed ceramic, Quentin Bell, 12.5 cm x 15 cm x 15 cm. Plate, circa 1936, glazed ceramic, Quentin Bell, Stoke-on-Trent, 30 cm. Vase, circa 1935-1937, glazed ceramic, Quentin Bell, Stoke-on-Trent, 18 cm x 13 cm x 13 cm. Plate, circa 1935-1937, glazed ceramic, Quentin Bell, Stoke-on-Trent, 34.5 cm. Vase, circa 1935-1937, glazed ceramic, Quentin Bell, Stoke-on-Trent, 22.5 cm x 13 cm x 13 cm. Plate, circa 1935-1937, glazed ceramic, Quentin Bell, Stoke-on-Trent, 31 cm. Bust, head of young woman, date unknown, terracotta, unglazed, ceramic, Quentin Bell, 23 cm x 11 cm x 19 cm. Vase, circa 1937, glazed ceramic, Quentin Bell, Stoke-on-Trent, 14 cm x 12 cm x 12 cm. Lamp base, circa 1950, glazed ceramic, Quentin Bell, 24 cm x 13 cm x 13 cm. Bowl, date unknown, ceramic, maker unknown, 9 cm x 24.7 cm x 24.7 cm. Charger, early 19th century, ceramic, maker unknown, 36 cm x 42.5 cm. Prov: Formerly at the Stephen family home, Hyde Park Gate, London. Charger, early 19th century, ceramic, maker unknown, 37 cm x 45 cm. Prov: Formerly at the Stephen family home, Hyde Park Gate, London. Charger, early 19th century, ceramic, maker unknown, 38 cm x 46.5 cm. Prov: Formerly at the Stephen family home, Hyde Park Gate, London. Charger, early 19th century, ceramic, maker unknown, 34 cm x 41 cm. Prov: Formerly at the Stephen family home, Hyde Park Gate, London. Charger, early 19th century, ceramic, maker unknown, 33 cm x 41 cm. Prov: Formerly at the Stephen family home, Hyde Park Gate, London. Teapot, date unknown, ceramic, Quentin Bell, 12 cm x 19 cm x 19 cm. Cup, date unknown, ceramic, Quentin Bell, 7 cm x 10 cm x 10 cm. Plate, circa 1950, glazed ceramic, Quentin Bell, 21.5 cm. Tumbler, 20th century, glass, maker unknown, 10.7 cm x 7.2 cm x 7.2 cm. Tumbler, 20th century, glass, maker unknown, 10.7 cm x 7.2 cm. Plate, circa 1950, glazed ceramic, Quentin Bell, decorated by Edward le Bas, marked 'Ed le Bas', 2 cm x 18 cm x 18 cm. Jug, circa 1960-1970, glazed ceramic, Quentin Bell, decorated by Duncan Grant, marked 'DG', 12.5 cm x 12.5 cm x 9 cm. Plate, circa 1935-1937, glazed ceramic, Quentin Bell, Stoke-on-Trent, 4.5 cm x 34.5 cm x 34.5 cm. Figure, cow, date unknown, unglazed ceramic, maker unknown, 4.5 cm x 8 cm x 3.6 cm. Bust, head of Desmond McCarthy, circa 1950, plaster, Quentin Bell, 23 cm x 20 cm 15 cm. Sculpture, 20th century, painted ceramic, maker unknown, 14.5 cm x 12 cm x 12 cm. Vase, circa 1935-1937, glazed ceramic, Quentin Bell, Stoke-on-Trent, 14 cm x 120 cm x 120 cm. Bowl, circa 1950, glazed ceramic, decorated by Duncan Grant, marked 'DG', 9.5 cm x 13.6 cm x 13.6 cm. Jug, circa 1950, glazed ceramic, Quentin Bell, decorated by Duncan Grant, 9.5 cm x 13 cm x 9 cm. Bowl, circa 1950, glazed ceramic, Quentin Bell, 10.5 cm x 18 cm x 18 cm. Vase, circa 1950, glazed ceramic, Quentin Bell, decorated by Duncan Grant, 14 cm x 13.5 cm x 13.5 cm. Jar, drug jar, circa 1870, lead glazed terracotta, maker unknown, France, 20.5 cm x 11.5 cm x 11.5 cm. Tile, 20th century, ceramic, possibly decorated by Duncan Grant, Minton, 13 cm x 13 cm. Jug, for oil, circa 1950, glazed terracotta, Quentin Bell, 14 cm x 11 cm x 8 cm. Stopper, for oil bottle, circa 1950, glazed terracotta, by Quentin Bell, 4.7 cm x 3.7 cm x 3.7 cm. Jug, circa 1900, glazed ceramic, commercially manufactured by Wedgwood, decorated by Quentin Bell, 23 cm x 27 cm 21 cm. Tile, circa 1985, glazed ceramic, copies potted and decorated by Quentin Bell to replace originals by Vanessa Bell, 15.4 cm x 7.7 cm. Butter dish, circa 1909-18, potted, ceramic, Omega Workshops, 3.2 cm x 7.8 cm x 7.8 cm. Vase, date unknown, ceramic, maker unknown, 18.3 cm x 13 cm x 13 cm. Tile, tiled sill, 1985, decorated, glazed ceramic, 'Fish and egg' design, Quentin Bell, 87 cm x 20 cm. Tile, tiled splashback, 1985, decorated, glazed ceramic, fish and egg design, Quentin Bell, 86 cm x 26.7 cm. Tile, tiled return, 1985, decorated, glazed ceramic, 'Fish and egg' design, Quentin Bell, 25.5 cm x 16.5 cm. Tile, tiled surface, 1985, decorated, glazed ceramic, 'Fish and egg' design, Quentin Bell, 84.5 cm x 20.5 cm. Tile, 1985, decorated set, glazed ceramic, Quentin Bell, 57 cm x 118 cm.